The University of New Brunswick is hosting a major computer science research expo this week that will focus on opportunities in cybersecurity, featuring remarks from Premier Brian Gallant, the Israeli ambassador to Canada and a high-tech entrepreneur from Israel. The Faculty of Computer Science at UNB is hosting the 2016 Research Expo at the Wu Conference Centre in Fredericton on Friday, April 8. “The expo will feature leading industry, government and academic speakers sharing insights, knowledge, and advice on the biggest cybersecurity challenges currently facing governments, industry, and public,” said Dr. Ali Ghorbani, dean of the faculty of computer science at UNB and the organizer of the exposition. The all-day event will include remarks by Ambassador Rafael Barak as well as Roni Zehavi, CEO of Cyberspark, an industry-led initiative in Israel to advance research and development of cyber solutions. An agenda appears below. Stephen Lund, CEO of Opportunities New Brunswick. 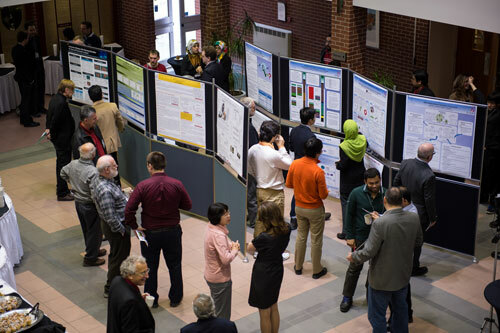 The expo features talks by UNB computer scientists, exhibits, presentations from industry and students as well as 46 posters showcasing research and development. The public and members of the media are invited to attend. There is no cost to the event but those wishing to attend are encouraged to register online before Wednesday, April 6 at 10 am. 9:30 - 9:45: Mark Zimmerman, CTO, T4G Ltd.